NEW YORK, Nov. 29, 2018 /Prexly/ — Hunt Real Estate Capital, a leader in financing commercial real estate throughout the United States, announced today it provided two Freddie Mac Small Balance Loans totaling $4 million to refinance two multifamily properties located in El Paso, Texas. "The borrower is a new Hunt Real Estate Capital and Freddie Mac customer, but he has been involved in the investment and management of real estate properties since 1998, and has eight years of experience with multifamily properties," noted Steve Beltran, Managing Director of Hunt Real Estate Capital. "Mr. Rodarte and his sons, Vicente Jr., Matthew, Jeffery, and Steven currently own a total of 204 multifamily units and four single-family units, all of which are located within El Paso. Both refinanced properties are successfully self-managed by Mr. Rodarte and his sons." Pebble Hills Apartments. Hunt Real Estate Capital provided a $2.8 million loan to refinance Pebble Hills Apartments, a multifamily property with 104 residential units. Located at 10865 Edgemere Blvd., the community was built in 1978, and is situated on a 4.88-acre site. The property has a unit mix of 32 one-bedroom, one-bathroom apartments and 72 two-bedroom, two-bathroom units. Pebble Hills Apartments is 98% occupied and property amenities include a swimming pool, playground, clubhouse, and common laundry. The Veranda Apartments. Hunt Real Estate Capital provided a loan in the amount of $1.2 million to refinance The Veranda Apartments, a 64-unit residential complex located at 9800 Montana Ave. The property was built in 1969, is situated on a 2.56-acre site, and is 97% occupied. The Veranda Apartments has a unit mix of 32 one-bedroom, one-bathroom apartments and 32 two-bedroom, two-bathroom units. Property amenities include a swimming pool and common laundry. "Both of these properties are located within close proximity of one another and have been operated well by the sponsors," added Beltran. "We were happy that we could provide a competitive loan facility to refinance them for a quality first-time Hunt Real Estate Capital borrower." 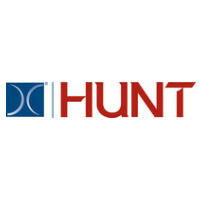 Hunt Real Estate Capital, part of Hunt Companies, Inc., is a leader in financing commercial real estate throughout the United States. The Company finances all types of commercial real estate: multifamily properties (including small balance), affordable housing, office, retail, manufactured housing, healthcare/senior living, industrial, and self-storage facilities. It offers Fannie Mae, Freddie Mac, FHA financing and its own Proprietary loan products. Since inception, the Company has structured more than $27 billion of loans and today maintains a servicing portfolio of more than $15 billion. Headquartered in New York City, Hunt Real Estate Capital has 241 professionals in 25 locations throughout the United States. To learn more, visit https://huntrealestatecapital.com/.